“Continuity of service”, “always available”, “agreed level of operational performance”,”single point of failure” – We have come across these terms many times when high availability of website or application need to be considered. BIG-IP F5 has mechanisms to maintain service availability during outages and hardware failures by use of redundant infrastructure. High availability feature in F5 BIG-IP consists of running redundant F5 chassis (load balancers). The failure of any one of these components does not interrupt operation of the system. F5 BIG-IP HA has majority of features which ensure application availability at all anytime, such as Network/connection mirroring, Configuration Synchronization, Network failure. 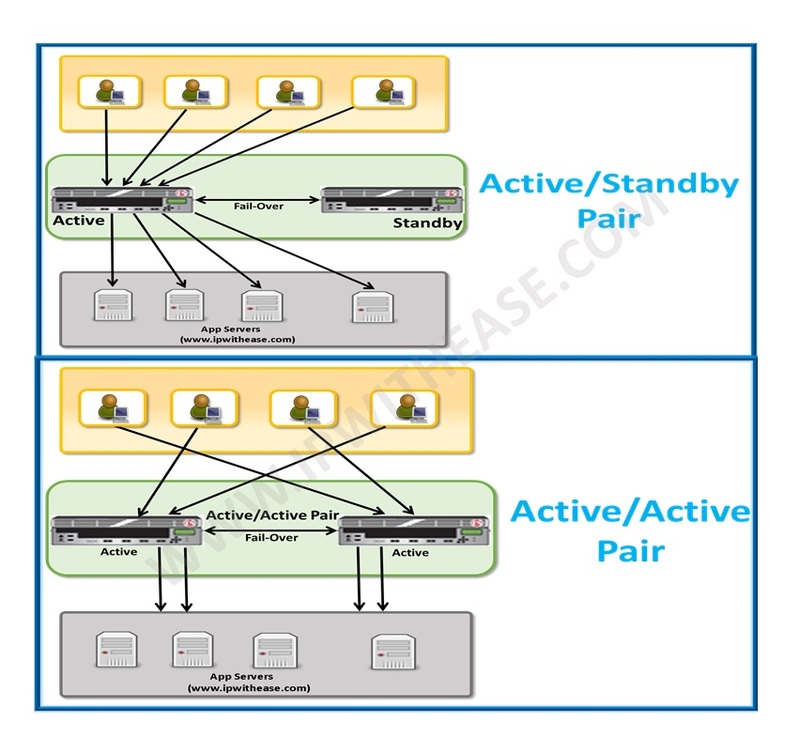 Connection Mirroring : – Connections and persistence information on the active F5 chassis are duplicated to the peer unit. In the event of a failover, the peer system can begin processing connections immediately without interruption. Configuration Synchronization : – ConfigSync is a high availability process that collects the configuration files and directories from one unit of a redundant pair into an archive file, and then transmits and installs the shared configuration data on the peer. Network Failover :- When BIG-IP redundant systems are configured to use network failover, the systems communicate over the configured failover addresses. 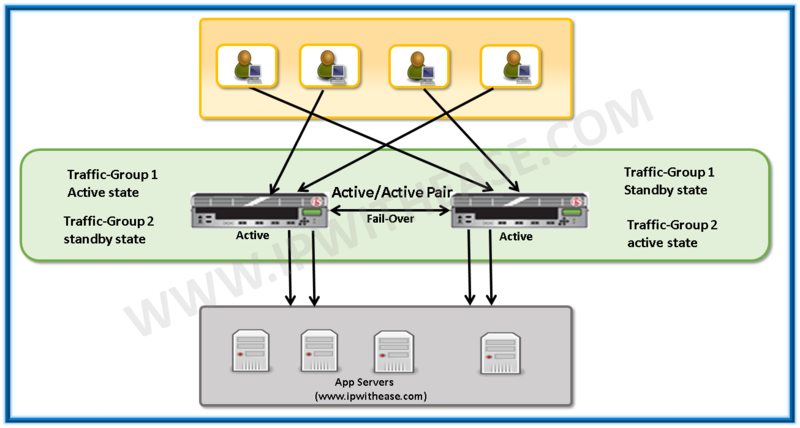 Let’s understand 2 member HA Clusters and their two operating modes; Active/Active and Active/Standby. 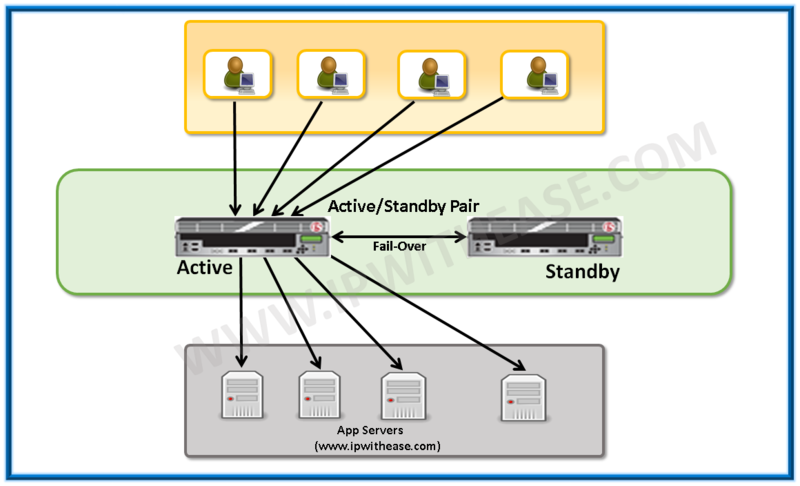 Active/ Standby: – In this mode, one unit is active and processes all traffic and second unit is standby (Standby unit does not processes traffic) .However, with the help of config sync feature the entire device configuration is typically synchronized between devices and connection persistence state data can also be mirrored. If failure is detected on the active unit, all the traffic will be moved to the standby member since standby member is already having all the configuration and connections persistence state, standby become active. Multiple traffic groups (Creating a virtual instance for your grouping of active standby) cannot be created since only one unit is active at a time and processes all the connections. Active/Active: – In this mode, both the units can be active at the same time.. We can make full use of hardware available. This type of setup is majorly seen where we have limited hardware in the F5 units and requirement of connection processes are more. Here we can create multiple traffic groups in order to distribute the traffic groups in a different F5 devices and make 1st F5 unit as active for one traffic group and 2nd F5 unit active for another traffic group.